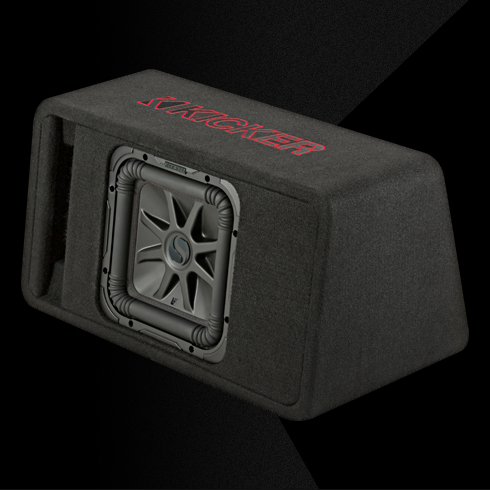 The L7R 10-inch Subwoofer Enclosure is the perfect fit in your trunk and in your life. 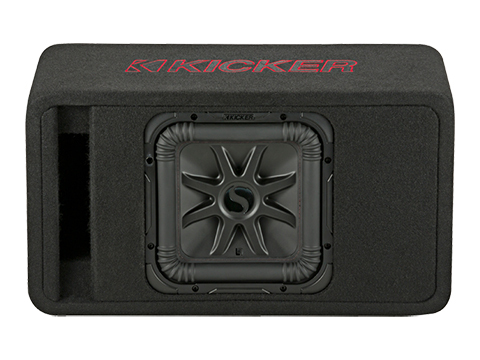 KICKER’s square sub technology features patented ribbed corners, UniPlate™ solid pole piece and backplate, and injection-molded SoloKon™ cone system. You get up to 20% more volume compared to a round driver, so you move more air and get more bass! 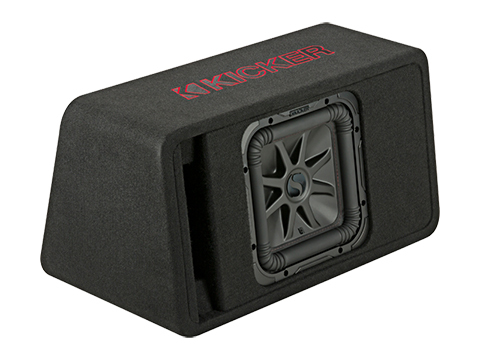 Combined with an optimized front-facing port, reinforced MDF construction, rounded corners and thick black carpet, you get big bass without the expense of a custom enclosure. 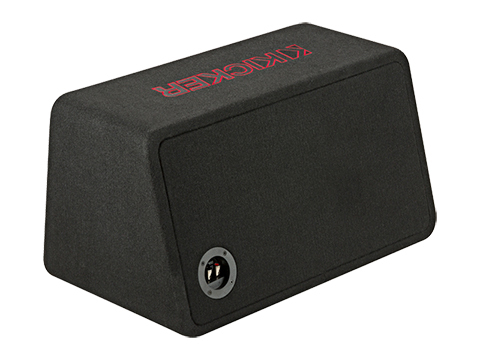 Hook up a KX amp to this bass wedge to start Livin’ Loud! 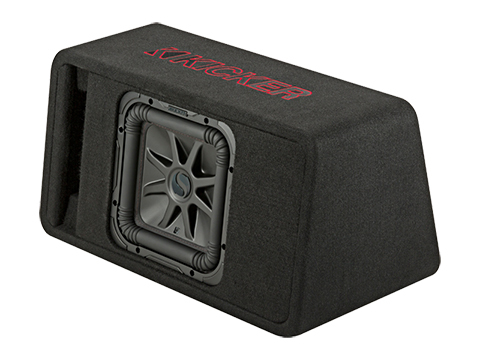 *The compact L7R 10-inch Subwoofer Enclosure works best with 500 watts of recommended power. See below for more details.